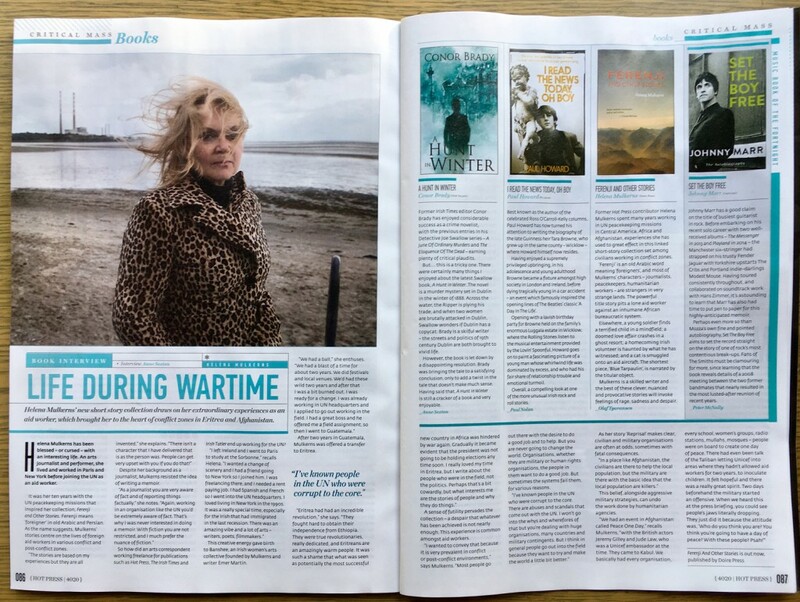 A piece in Hot Press magazine by Anne Sexton, with photo by Paula Nolan and review by Olaf Tyaransen. Below see an extract from the interview – the rest in Hot Press magazine, available in all Irish newsagents right now! An arts journalist and performer, Helena Mulkerns lived and worked in Paris and New York before joining the UN as a press officer. It was her ten years with UN peacekeeping missions that inspired her collection, Ferenji and other stories. Ferenji means ‘foreigner’ in old Arabic and Persian. As the name suggests, Mulkerns’ stories centre on the lives of foreign aid workers in various conflict and post-conflict zones. To read more of this article, check out your local news agent for current issues of Hot Press.